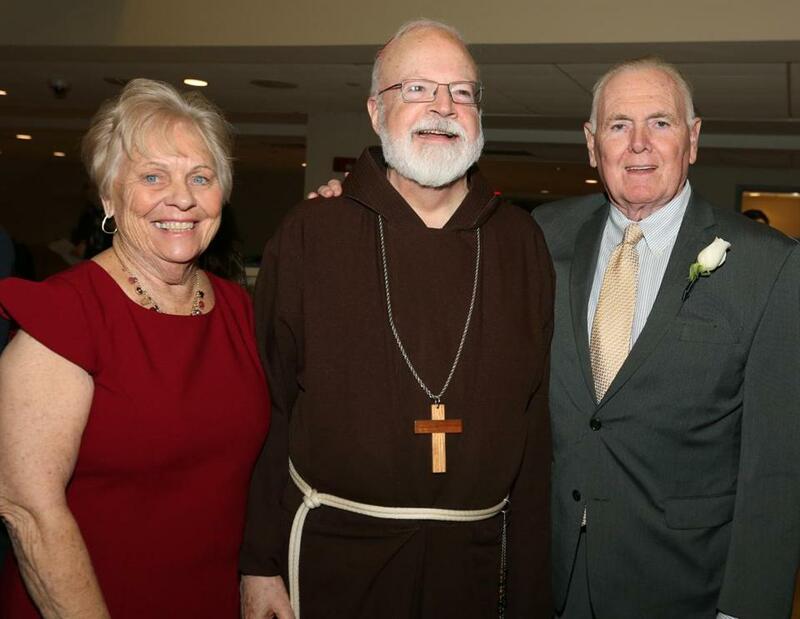 Cathy Flynn, Cardinal Sean O’Malley, and former ambassador Ray Flynn posed for a photo at Thursday’s fete. Former Boston mayor and ambassador to the Vatican, Raymond Flynn; his wife, Kathy Flynn; and other members of their family were honored Thursday evening at the Paraclete Annual Reception for their support for education and youth. The Paraclete’s Founders Award, which was given to the Flynn family, honors “those who give of themselves to advocate for and help others,” according to organizers. The Paraclete Academy is an educational enrichment program that offers tutoring, enrichment classes, and field trips. The crowd in attendance at Boston College High School included city councilors, Cardinal Sean O’Malley, and Congressman Stephen Lynch. The sound of bagpipes filled the school’s foyer as the Boston Police Honor Guard opened the night. When Flynn spoke to the audience, he called attention to the “unsung heroes” of Boston. He also shared with the crowd the reason he is determined to make a difference — young people. Flynn served as mayor from 1984 to 1993, and then as ambassador to the Vatican under then-president Bill Clinton from 1993 to 1997.